We believe that with the right help and support, anyone can successfully overcome their addiction and go on to lead a clean and sober life. To get started, pick up the phone and give us a call. Our support line is there for anyone to discuss treatment options or addiction with one of our friendly and helpful advisers. Programme cost and health insurance coverage. Distance from home, family, and loved ones. Length of stay and treatment plans. Amenities such as rooming, meal options, and recreational items. Finding the ideal treatment centre means finding the perfect, personalised treatment programme for your own situation. No one-size-fits-all. Hundreds of thousands of people across the UK are suffering with some form of substance or behavioural addiction, and contrary to popular belief, addiction is not an illness associated with a single community, gender or race. Addiction can affect absolutely anyone of any age, background, gender and race. There are various treatment methods used, usually in conjunction with one another, during the recovery process. Treatment programmes will differ for each individual and will be tailored to suit their unique needs and situations. The most effective types of treatment programmes ensure that individuals in recovery are actively involved every step of the way. When an individual decides to get sober, they are committing to a life of abstinence, meaning no engaging in addictive behaviour or abusing any substances. Sometimes, a planned intervention conducted by friends and family and a counsellor or addictions professional is the focused approach needed to set an addicted person on the road to recovery. Detoxification is the process by which the body clears itself of drugs, and is designed to manage the acute and potentially dangerous physiological effects of stopping drug use. Rehab is a treatment programme that is provided in a residential setting. Rehabs are usually abstinence-based and provide an intense programme of support and care for those that need it. Addiction treatment therapies include (but are not limited to) Behavioural Therapy; Cognitive-Behavioural Therapy (CBT) and Dialectical Behaviour Therapy (DBT). Extended care drug rehabilitation may be several things. It may incorporate extended stays at treatment facilities that exceed 30-, 60-, 90-day cycles. It may also refer to post-treatment care. 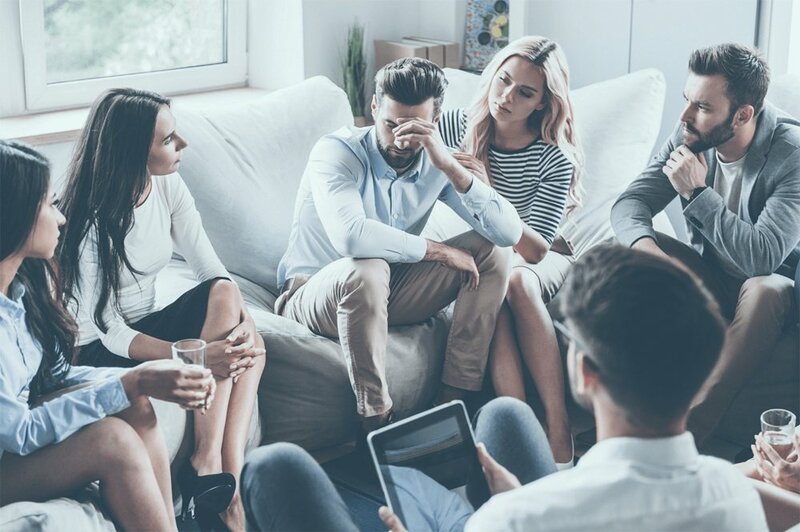 Group therapy is often offered in conjunction with individualised drug counselling and is formatted to reflect the principles of cognitive-behavioural therapy and contingency management. Providing the physical and psychological support needed to beat substance dependency. These include inpatient and outpatient recovery programmes, and support groups. This is a vital part of the recovery programme, as addicts are prone to relapse in early recovery. Therefore, it is important they learn how to deal with signs of relapse and how to prevent it.